Our goal this year is to raise $5,000! Will you fight with us? Whether it’s $20 or $100, we need your support for transformative youth organizing in 2019! Why a prom? We know deeply how schools push out our black, brown, queer, and trans youth. Prom is largely no exception – enforcing transphobic dress codes, banning same-gender dates, policing young students of color. Let’s take back our Prom Night! DRESS TO IMPRESS! We will have a limo photobooth, delectable menu, and tunes by DJ FemitheFemme. 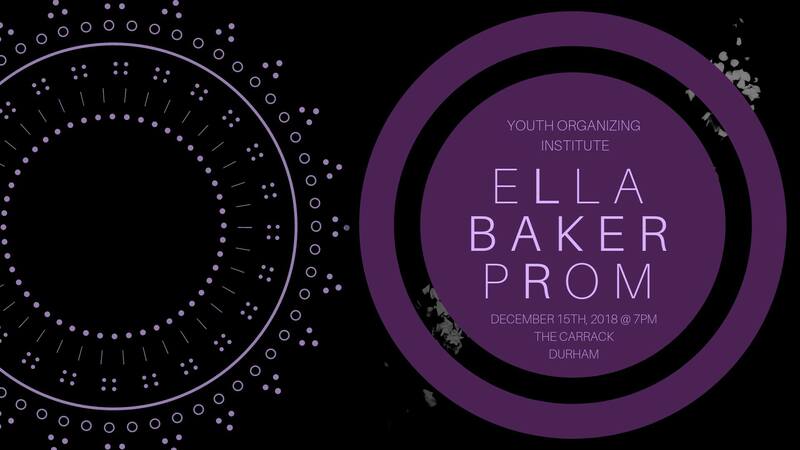 We will crown PROM ROYALTY — one for a youth, adult, and organization whose has inspired us in their fight for liberation from oppression. You don’t want to miss this! NO ONE WILL BE TURNED AWAY FOR LACKS OF FUNDS! Give what you can. We all deserve to celebrate this year’s wins together. 2 days ago by the_carrack Third FRIDAY Reception: April 19, 6-9pm for "Between Presence and Absence (Making Roots)" by Natacha Sochat Natacha prefers not to concretely explain each individual work beyond the title, but rather, that the viewer sees the work freshly. She uses iconography which has multilayered meaning. The style of a project is relevant to what she feels best fits its conceptual aspects. One of the things that she discovered was that art cannot escape being a sociological object. As an artist/scientist Natacha is aware that nature’s only constant is change. Complexity science, emergence, and chaos are processes she employs along with intuition.